This is a very classy ring. 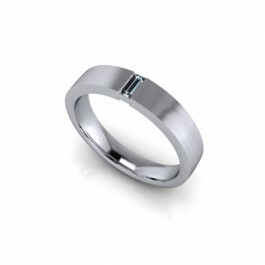 It contains a single straight baguette, approximately 0.12ct, that adds just enough shine to this masculine band. 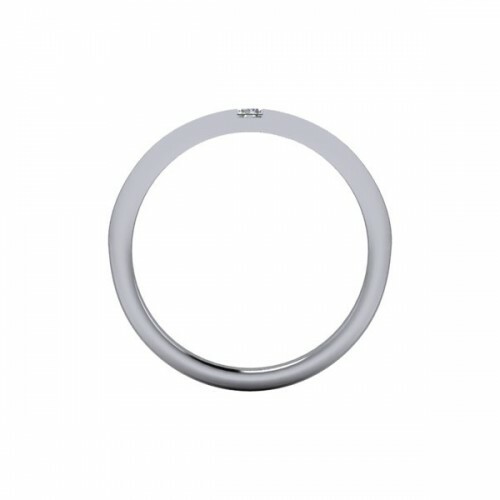 The ring is 4mm wide and would look very cool with a brushed/satin finish on it at no extra cost, just tell us you want it! This can be customized however you would like! Click “Customize” and tell us a bit more of what you would like to change. Stone size? Finger size? Metal? Add something? Take something away? Let us know and we will contact you with quotes.The ring is priced in size 8.